4 Bedroom Detached Cottage For Sale in Langport for Asking Price £415,000. 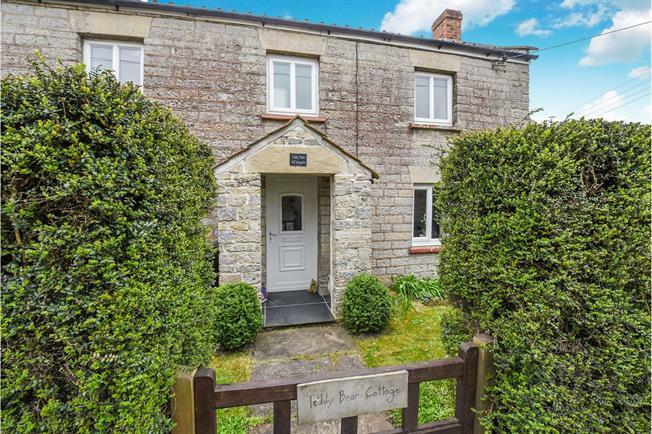 Teddy Bear Cottage is a natural stone, character cottage with a modern finish, boasting period features. Offering an open plan layout, the ground floor accommodation comprises; entrance hall, living room, kitchen, utility room with WC and an additional living/ dining room. The first floor accommodation offers four double bedrooms and a family bathroom. Heated via electric air source heat pump and powered by solar panels. Externally, the garden wraps around the property and there is a detached garage and paved driveway providing ample off road parking. WC, hand wash basin and double glazed window to the side aspect. Double glazed window to the side aspect and two double glazed windows to the front aspect. Doors to all bedrooms and family bathroom, loft hatch and airing cupboard housing hot water tank and storage shelving. Double glazed window to the front aspect, Velux window, radiator and door to mezzo landing area. Double glazed window to the front aspect, Velux window and radiator. Two double glazed windows to the side aspect, hand wash basin and radiator. Free standing roll top bath with mixer taps and shower attachment. Separate shower unit with screen, WC, pedestal hand wash basin and wall mounted heated towel rail. Double glazed obscure window to the rear aspect. Pedestrian wooden entrance gate with flagstone path leading to the front entrance storm porch. Laid to lawn with box hedging to the front boundary and path continues to the side. The garden wraps around the side and rear of property and consists of a patio area ideal for outdoor entertaining and a good size lawn with feature water well. The lawn is divided by trellising and continues beyond to gives access to the rear entrance. There is a detached single garage and a paved driveway providing ample off road parking. The garden is mainly enclosed by wooden fencing and the driveway is secured by double gates. Freehold. Council tax band E (South Somerset District Council), mains electricity, water and drainage, Telephone, TV Aerial and Broadband are all connected. Under floor heating on the ground floor accommodation and radiators on the first floor, powered by electric air source heat pump. Grid connected Solar Panels generate the properties electricity. There is also an alternative back boiler on the woodburner.